Will you help our clients to navigate a multidisciplinary environment, implement large-scale finance transformations, and prepare for a new future? If you look ahead, will there be a finance function as we know it today? The CFO has to deal with political uncertainty in turbulent times, compete with new business models, and lead in the digital age. How to find skilled professionals, pick the right technologies, fix the data, and leverage insights through analytics? Our Finance Consulting team helps the CFO to master new challenges. What does blockchain mean for the finance function? How can Finance become a trusted business partner? What is the impact of digitisation on the future organisation? How to implement the ever-growing amount of regulations? As a senior associate you’ll deliver our finance projects, support our teams, and coach our associates. You’ll use your knowledge, insights, creativity and leadership skills to inspire people, and work with our clients in co-creation. You’ll work in multidisciplinary and often international teams, that also include experts in strategy, technology, risk, operations, change management and regulation. We’ll provide you a home base in the Financial Services Finance Consulting team, which is a young and motivated group of people, with strong growth aspirations. You’ll help us to further build a team of transformational and digital finance consultants, who keep track of leading tools for the future finance function. We’ll offer you an inclusive culture and we embrace diversity, as we believe this enables us to make the most of everyone’s unique skills and ideas, and as it helps us to achieve our purpose to build trust in society and solve important problems. We also care about both your personal and leadership development, as organisations do not change, but people do. 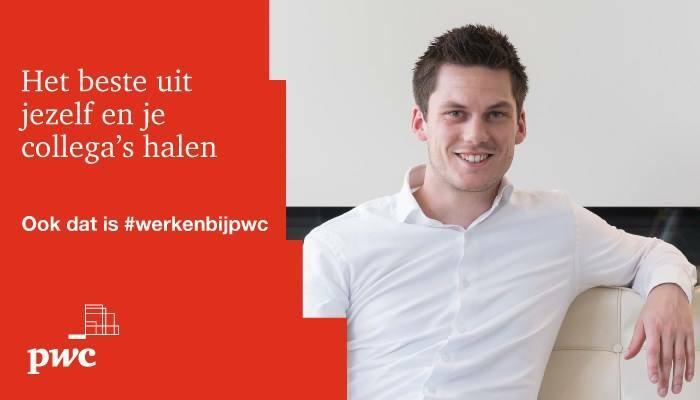 Please send your application for Senior Consultant Finance Consulting for the Financial Sector at PwC in Amsterdam including your resume and cover letter via our website.